OSI University™ is a world-class training program designed to address the diverse needs of our customers. The comprehensive monarch™ training program prepares users with various skill levels for maintenance and operation of the OSI monarch systems and individual OSI products. OSI University courses are delivered at OSI's state-of-the-art training facilities in Minneapolis, Minnesota, which feature multiple classrooms equipped with projection and computer equipment and a collaborative laboratory environment. Courses include lectures, laboratory time and hands-on practice. Occasionally, courses are scheduled at other regional OSI University locations including Florida, Texas and other regional areas for international customers. A select number of OSI University courses are available remotely via live webcast. Several sessions are offered in a modular format to allow maximum schedule flexibility for remote students to participate. We highly encourage and recommend that clients attend OSI University via classroom for all core maintenance training related to their OSI solutions. This is the most effective and focused means of delivering training. Supplemental training can be via online training or custom tailored training can be scheduled and delivered at client's site. Please email training@osii.com for more information. OSI University includes a comprehensive curriculum consisting of more than 35 standard courses. The curriculum has been optimally designed to offer a customizable training program for specific user needs. OSI's modular approach to training allows users to achieve proficiencies in shorter amounts of time by selecting required courses from the entire curriculum. OSI's Quick Start Training option allows users of smaller systems to achieve the minimum required proficiencies in a shorter period by presenting portions of the multi-week standard curriculum in two weeks. Optional advanced courses can be taken when convenient. For more information on our OSI University training program, please contact training@osii.com. To register for an OSI University training course, please visit the OSI Members Secure Site. OSI is recognized by the North American Electric Reliability Corporation (NERC) as a Continuing Education (CE) provider. CE credits can be earned by participants for OSI University courses dealing with Operator Training, Grid Security, Cyber Security and Operational Awareness. 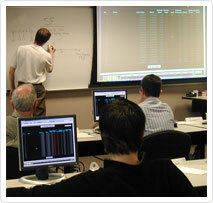 For a comprehensive list of CE certified courses please contact OSI at training@osii.com.